When most people arrive in Peru its usually in Lima and then they make their way to Cusco to go to Machu Picchu. Well I spent two weeks in Peru and I can tell you there is a lot more to the country. So here are the places to go in Peru that are not Machu Picchu. Travelgal Nicole contains affiliate links. If you make a purchase through these links, I will earn a commission at no extra cost to you. These commissions help reduce the ever-increasing costs of keeping this site active. Thanks for reading! Puerto Maldonado is the capital city of the Madre de Dios region in Southeast Peru. With a tiny population of 35000, this city is really more like an average suburb. There are no high rises, skyscrapers or shopping malls of any sort… Instead, what you’ll find here is a true description of life in Peru. This capital is well known for its bustling ferry dock on the Madre de Dios river, which eventually joins up to one of the two main contributing water flows into the Amazon river. Although, the very best part about this tiny city is its incredible surroundings. Also known as ‘the Gateway to the Amazon’, Puerto Maldonado is rich in wildlife, rainforest and natural beauty. Only 15 minutes by boat from the centre of town and you’re instantly in a whole other world; eco-lodges are on the banks of the river, capybara stroll on the rivers edge and howler monkeys can be heard from miles away. One of my absolute favourite locations only 25 minutes from the city, was a place called Lake Sandoval. An incredibly luscious, secluded lake in the middle of the rainforest. I’ve never been to a capital city with so much vibrancy and extreme natural beauty! 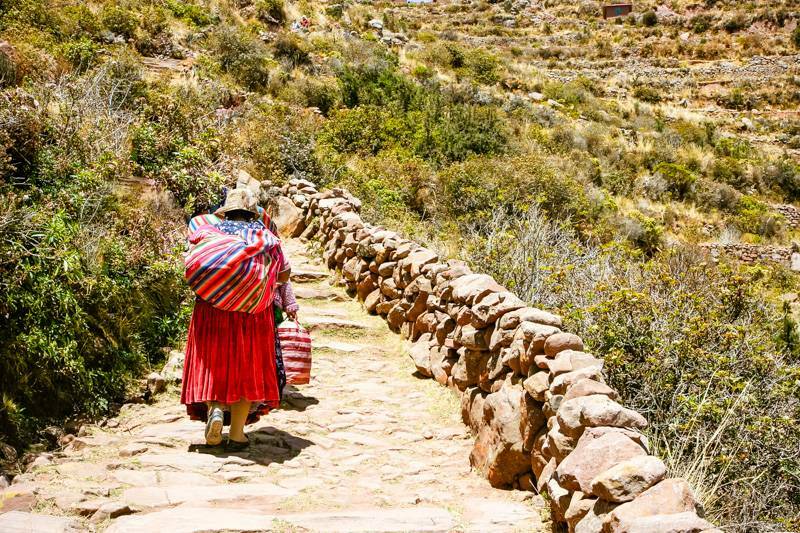 The islands of Lake Titicaca offer visitors to Peru an authentic glimpse into the Altiplano indigenous people who call these high altitude (up to 13,800’) islands home. The islands are remote and accessible only by boat, and the jumping off point is the town of Puno in southern Peru, where you can coordinate a small group tour that leaves from there. In all, there are 41 islands in Lake Titicaca, and around 30 in the Puno Bay area, although just a few are open for tourism. Many of the other communities still practice a more traditional lifestyle without intrusion from tourism. The floating islands of Uros are made of reeds of grass about 10 meters thick that literally float on the water. While it’s touristy, it’s also unlike any place else in the world and worth a visit. The islands of Amantani and Taquile can also be explored with a small group tour, and Amantani even offers inexpensive Homestay programs which pair up visitors with a local family for an interesting cultural experience and overnight stay. You’ll arrive early enough to have dinner with your “family”, enjoy a hike to the temple of Pachamama at the top of the island, and usually a social event to round out your stay. The native language of both islands is Quechua, so bring along a phrasebook to try your hand at communicating, and be sure to purchase one of their beautiful handmade textiles! Most people who visit Peru head straight to Machu Picchu. Say Marcahuasi, however, and not even many people in Peru will know where it is. This little known archaeological site is located at over 4000 meters above sea level, and at about 4 hours walk (one way) from San Pedro de Casta, a village of no more than 1000 souls located at around 100 km from Lima. What makes Marcahuasi interesting is the eroded rocks shaped into animals and humans – turtles, seals, etc. Despite the short distance, it takes at least 5 hours to get from Lima to San Pedro de Casta: take the bus to Chosica and once there another one to San Pedro de Casta. Buses back to Chosica are supposed to leave at 2:00 pm every day, but needless to say this isn’t necessarily the case. Other than the duration of the trip to San Pedro de Casta from Lima, the dramatic change in altitude is such that it is not advisable to do this as a day trip from Lima. It is possible to camp in Marcahuasi, though it is necessary to carry pretty much anything as there’s literally nothing up there. Otherwise there is a very basic Ospedaje Municipal (and one or two basic restaurants to eat) in the village – think no hot water; no running water after 8:00 pm; no heating. It gets incredibly cold up there, even during the day, so wear appropriate gear. The waters here are teeming with fish, birds soar overhead, and even Humboldt penguins waddle around the rocky shoreline. But the most notorious residents are the many sea lions found around Isla Palomino. It is estimated that Palomino Island is home to approximately 8,000 sea lions in total. There are so many of them barking onshore and frolicking in the waters surrounding the island. Half-day boat trips from the port of Callao provide travelers with a once-in-a-lifetime opportunity to jump in the water and snorkel with these playful marine mammals. Swimming with so many wild sea lions is such a special adventure pursue while in Peru. We boast a trip to Palomino Island as a must-do experience for any nature & wildlife lover traveling in country. Travelgal Nicole says I went to Paracas Islands which were fabulous as well for wildlife. 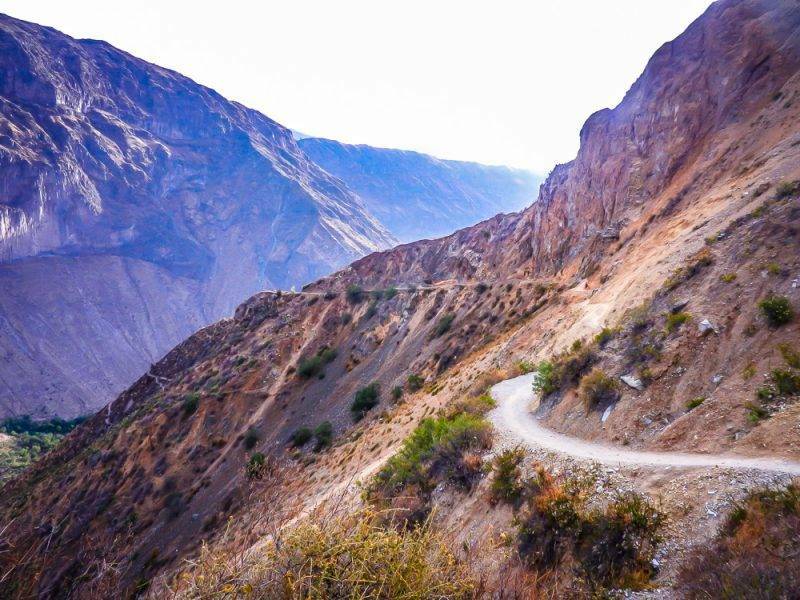 Our favourite Peruvian trek as an alternative to hiking to Machu Picchu has to be the steep slopes of Colca Canyon. At twice the depth of the Grand Canyon, this is no easy walk in the park but the challenge is well worth the awesome experience of witnessing a unique landscape populated with tiny canyon villages and huge soaring Condors. Trekking Colca Canyon is, of course, optional. If you wanted to you could simply stay in one of the nearby towns of Cabanaconde or Huancarqui that sit on the edge of the canyon, from here you can admire the impressive 14,000ft drop and easily access the main condor spotting viewpoint. But if your fitness levels allow we definitely recommend spending two days inside the canyon itself. Huancarqui is the town to start your trek on day one – from here it takes a few hours to drop all the way down to the tropical green oasis found at the very bottom. Grab some lunch and cool off at the pool before heading halfway up the canyon on the opposite side where you’ll find a handful of local villages offering basic accommodation for the night. On day two, wake up early and start making your way back up to Huancarqui – the really hard bit! The views from any point of the trekking trails are truly awesome! 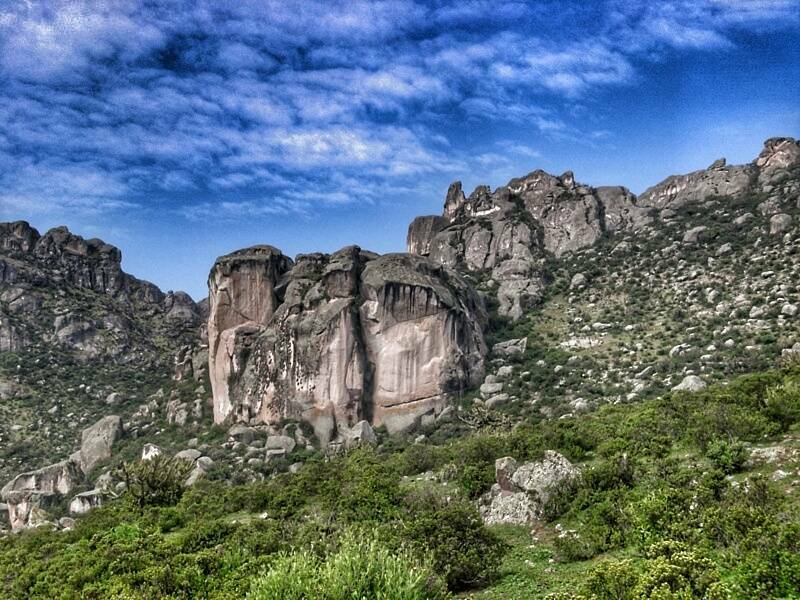 Travelgal Nicole says Colca Canyon is just absolutely stunning. One of the best day trips I did in Peru. Nazca in Peru isn’t somewhere that you would spend a lot of time. But it’s definitely worth a visit. 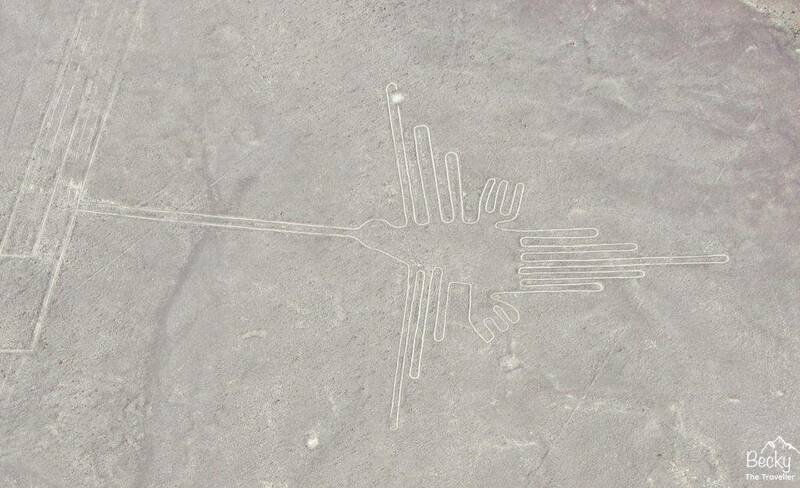 Most famous for the Nazca Lines which were designated as a UNESCO World Heritage Site in 1994. The Lines are pre-Columbian geoglyphs found in the desert, lines drawings of various different animals and plants, some up to 30 m wide! The Nazca Lines are best viewed from the air. Small lightweight planes take you up and give you a somewhat dizzying guided tour by air. They fly around in small circles taking you up close to the amazing lines below on the ground. But another place you can visit whilst in Nazca is the Chauchilla Cemetery. Mummified remains along with their artefacts can be found in a quiet cemetery. The mummies are hundreds of years old but preserved well in the dry desert conditions. I wasn’t sure what to expect but it’s an interesting place to explore if you have time after the Nazca Lines flight. Nazca is only a small town and once you’ve taken in the highlights there isn’t much else to explore. But it’s a great stop as you make your way down the west coast of Peru from Lima to Puno. And another part of Peru’s amazing history. When I originally booked our trip to South America I knew that I wanted to hike. And hike a lot and hike everywhere. One thing I definitely knew I had no desire hiking was the Classic Inca Trail. So when the opportunity arose for us to hike in the mountains of the Andes, away from the tourists, I jumped at the opportunity. So far I still consider this to be our best Peru decision to date. By opting to not do the Classic Inca trail we spent four days hiking, eating and having a marvellous time with the crew from Andina Travel. After being collected in Cusco, taken on a short tourist tour of the local tourist highlights we spent the afternoon preparing for the trek. Why choose this trek over the Classic Inca? Well this trek took us off the beaten path and wandering along stock routes, into an ancient forest, through fertile pastures and very rarely passing by a local farmer. By no means was the hike easy, with our first day reaching over 4,450mtrs. At night I was thrilled to sit down, enjoy a unique three-course meal prepared for us by the support crew and eventually crawl into my tent to spend a few minutes, before falling asleep, watching the stars. Who can resist a million-star night? As I stood on top another mountain pass, out of breath and reaching for a chocolate bar I knew that the view was worth each step. No gringos, no hordes of people waiting for toilets. Just pristine mountains and the occasional free roaming alpaca. The Amazon is easily the biggest of Peru’s tourist attractions, encompassing around 60% of the country. 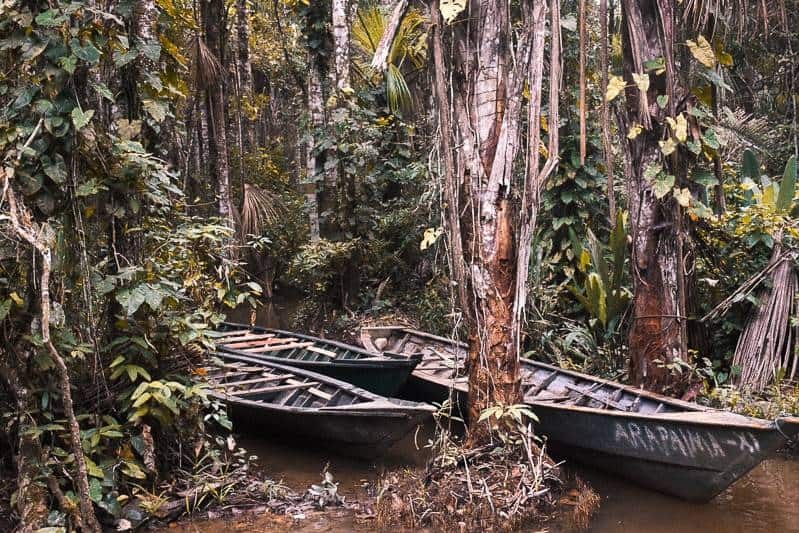 The fourth largest rainforest in the world, the Peruvian Amazon boasts remarkable biodiversity. The area has 700 types of ferns and more than 7,300 species of flowering plants. It’s also home to some 180 reptiles, 262 amphibians, 293 mammals, 697 fish, 806 birds, and 2,500 butterflies. Taking a small ship cruise down the Amazon and its many tributaries is a once-in-a-lifetime adventure through a rainforest that is positively teeming with life. Eagle-eyed naturalists can help you spot diverse wildlife ranging from tiny Poison Dart Frogs and Pink-Toed Tarantulas to Giant Armadillos and Giant Otters. We saw hundreds of weird animals during our Amazon expedition, including Pink River Dolphins, Caiman Lizards, a bizarre bird known as the Hoatzin (a.k.a. punk-rock bird), Piranha, Amazonian Manatee, and numerous different kinds of monkeys (Red and Black Howlers, Saki Monkeys, Night Monkeys, and more). And check out this post on the top places to visit in Peru. 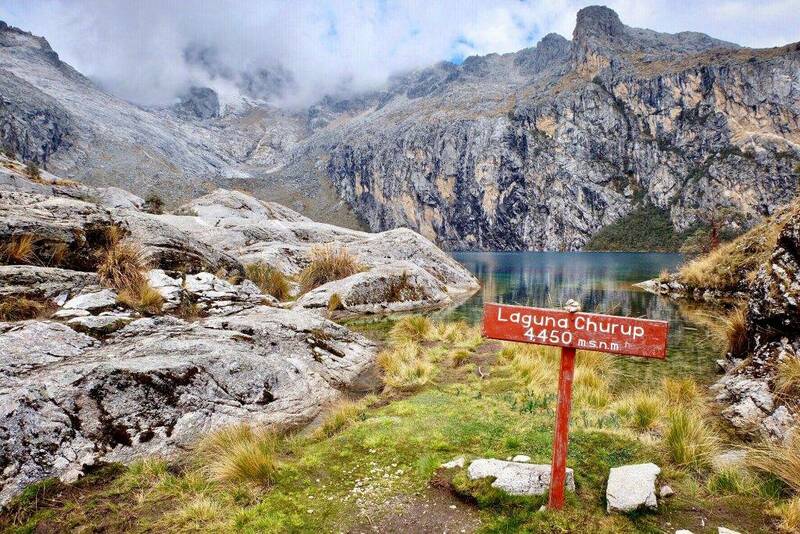 Located in Northern Peru, the hikes from Huaraz may not be as frequented as often as those from Cusco but in our opinion, they certainly should be! As one of the most important cities in the Peruvian Andies, it’s home to a number of incredible day hikes (Churup and Languna 69 are must-sees) and multi-day treks (Santa Cruz and Huayhuash will challenge the even the most avid hikers). Many compare the beauty of these hikes to that of Patagonia and having visited both regions, we can attest to this. With crystal clear water, cascading waterfalls and stunning rockfaces, it’s easy to forget about the challenges that come with hiking at altitude. To avoid altitude sickness, take your time, drink before you’re thirsty, eat before you’re hungry… and whatever you do, don’t pass through Peru without visiting Huaraz. Although many visitors to Lima don’t make it too far along the coast before heading towards Cusco and Machu Picchu, there is one town a few hours from Lima that shouldn’t be missed. The town of Huacachina is a desert oasis that sits just outside of the city of Ica, Peru. It’s a picturesque spot filled with palm trees and coffee shops surrounding a calm oasis. But this idyllic hub hides the true nature of Huacachina. This unassuming town is is a hub of adventure sports! Brightly colored dune buggies line the streets and wildly painted sand boards sit outside the shops making it clear what Huacachina is all about. If flying over the massive golden sand dunes in extreme 6-person sand machines isn’t enough to get your adrenaline pumping. Then flying down the giant hills on sand boards will give you the extreme fix you’re looking for. 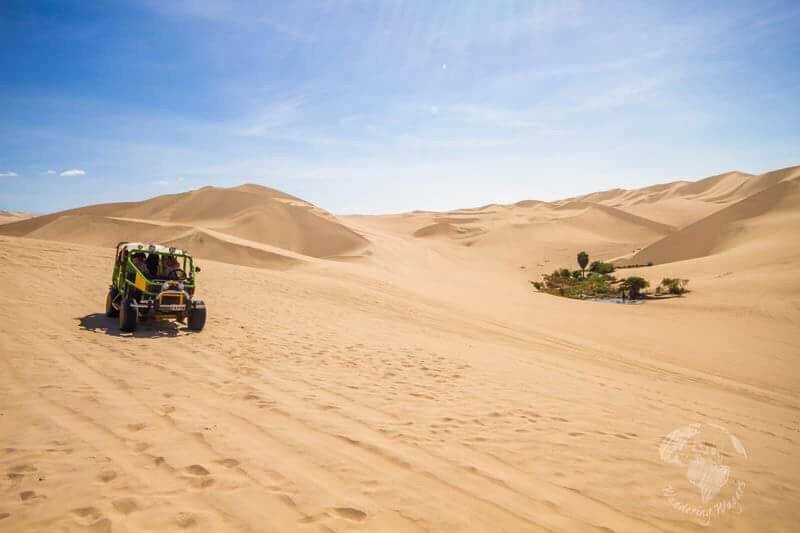 For those looking to explore a little deeper, you can always brave the epic hikes up these golden mountains for mind-blowing views overlooking Huacachina and Ica. Travelgal Nicole says – Huacachina is a lot of fun. Dune buggying at sunset is absolutely amazing! I also think Peruvian food is a huge part of visiting the country. Check out this post on Peruvian Chicken. What do you think of this list of places to go in Peru that aren’t Machu Picchu? Any memorable places you would add to the list? Wonderful recommendations! I learned about some of these places at school and I dream of visiting them ever since (Lake Titicaca and the Gateway to the Amazon). I hope I’ll discover their beauty one day soon. Wonderful photos too! During this period there seems to have occurred an important event in the field. Good luck on your business and lots of love.